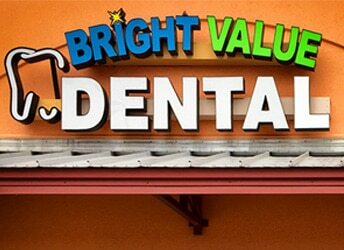 Bright Value Dental is one of Southwest Houston’s most trusted dental offices. We provide our patients with complete services from every field of dentistry. Whether you need a tooth extraction, want to beautify your smile, or want to improve the quality of your sleep due to sleep apnea, you are welcome here! We see patients of all ages – babies, kids, teens, adults, and senior citizens. All of our dental services are provided in a comfortable, family-friendly environment. We utilize the latest dental equipment and advanced techniques. We are in-network with most PPO insurances, Children’s Medicaid, CHIP, TMHP, Dentaquest, MCNA, and adult Medicaid (Amerigroup, United Healthcare). We accept cash, Visa, Mastercard, and Care Credit. Please click to see all the major insurance plans we accept.